I restore and refurbish good-quality bikes and I also custom build bikes, often just for the pleasure of doing it. All the bikes here are fully serviced/refurbished with new parts whenever needed to make them as good as possible. Custom builds are always built using brand new parts. When they are ready for sale I advertise them here. If you are interested in purchasing then contact me on 07583 589589 or by email cycle@davidtopping.co.uk. 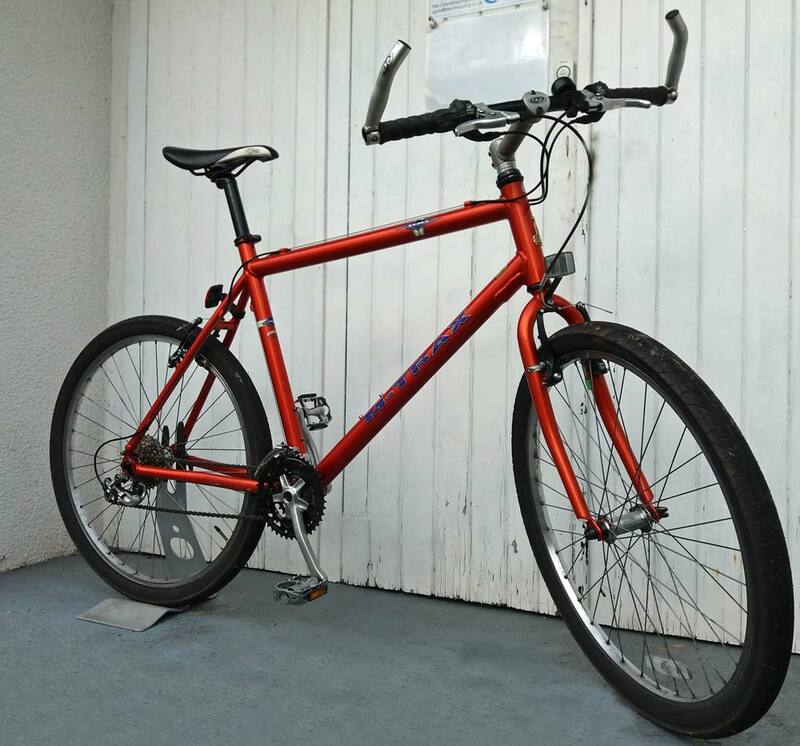 For sale is this excellent Raleigh M-Trax 100 with an 21″ aluminium frame, 26″ wheels and urban road tyres and 24 gears.